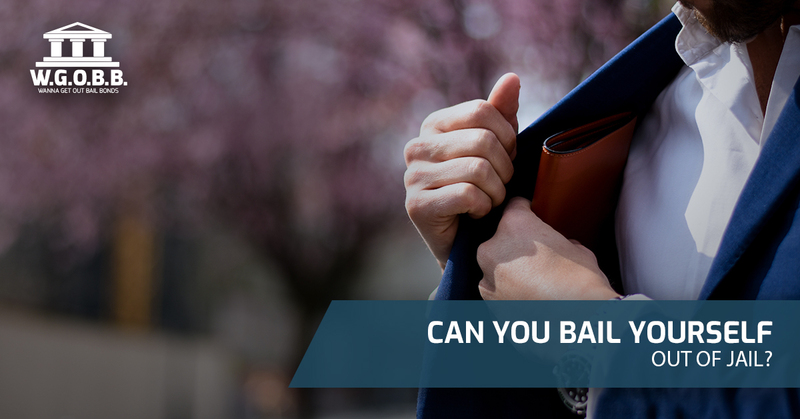 Bail Bonds Oahu: Can You Bail Yourself Out of Jail? Chances are that the situation you’re familiar with is one in which people come to a jail on behalf of their friends or loved ones, pay the bailiff the amount in question, and walk out of the jail with a thankful person in tow. Indeed, that is by far the most common situation by which a person is released from jail. But can a person bail him or herself out of jail? “But wait a second…if someone were already in jail, he or she wouldn’t be able to do an internet search to find this information out.” That’s a good point, but it’s a question that we get asked regularly nonetheless. The good news is that at Wanna Get Out Bail Bonds on Oahu, our biggest mission is to provide our clients with helpful information. That’s why we also have a bail bond FAQ page as well as pages about the process of purchasing them and the expectations that you should have moving forward. In other words, we pride ourselves on being a helpful source of information for people regarding bail bonds in Hawaii. So Can Someone Pay Their Own Bail? So let’s get down to brass tacks — can a person bail him or herself out of jail? Sure they can. In fact, if the person who has been arrested has the entire amount needed to be released, he or she can pay then and there to get the process started. But what about when a person doesn’t have the funds necessary to be released? That’s where our team comes in. When a person has been arrested and doesn’t want to rely on friends, family, or loved ones to bail him out, the best option is to contact a local bond agency (like ours!). If you’re on the island of Oahu and you ever find yourself behind bars, keep us in mind because we’ll work hard to get you released as quickly as possible. Generally speaking, all we’ll need from you is your first and last name, your bond amount, the jail you’re currently in, and the booking number. We’ll take it from there. We have plenty of experience in speaking with all of the local jails and we have the know-how to facilitate a quick release for you. With flexible payment plans available, you also have some options. In many instances, we don’t even require collateral. In other words, if you’re on Oahu and you’re in need of someone to help you bail yourself out of jail, you can count on the WGOBB team to get the job done the right way the first time around. It doesn’t get much better than that. As Oahu’s experienced bondsmen, our team will spring into action to help you make it through a tough time. We pride ourselves on offering free bond advice and friendly, affordable services. At the end of the day, we know that you have quite a few options about who you’ll call when times get tough, but we want you to know that we’ll always go above and beyond to help make a tough situation as easy for you as humanly possible. We’re also happy to say that we have 24-hour service, ensuring that you’re never left high and dry even though it’s late at night. We’ve been in this line of work long enough to know that emergencies never happen on a schedule. In other words, it often seems like Murphy’s Law comes into play — whatever can go wrong will go wrong. With that in mind, we seek to help take an incredibly difficult and stressful situation and shoulder some of that responsibility so you can focus on the situation at hand. At Wanna Get Out Bail Bonds, we offer free bond advice, 24/7 services, discounts when you pay in full, complete and total discretion, and more. We even accept collect calls! With no collateral needed on most bonds as well as zero interest and flexible payment plans, there’s always an option that you can count on when you choose to work with us. If you’re ever in a situation where you need to bail yourself out of jail, contact us to get the help you need.